How exactly will the project help Mumbaikars? The bullet train will not only cater to those travelling between Mumbai and Ahmedabad, but also commuters within the city. We have planned to link Metro lines to the bullet train station in BKC through walkways and check-ins. The fares will be affordable, when compared to other modes of transit. Most importantly, what we are selling here is speed. What are the broad features of the train? It will be similar to the latest models running in Japan. However, you can expect modifications since it will be customised to India's temperature and needs. For example, in Japan, the train runs in snow, while here, it will have to face heat and rain. The motors will have filters. We have also worked on earthquake and seismic activity protection for the train. 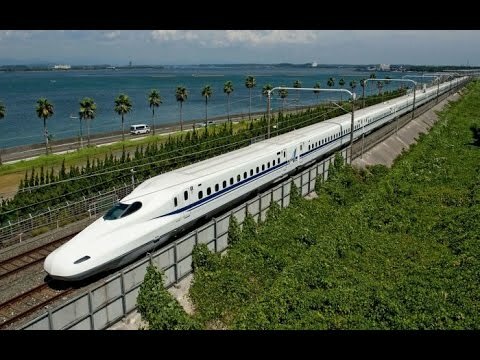 The Japanese high-speed rail or the bullet train that we are building has a proven record of 54 years with not a single accident since 1964. Tell us about the various compartments that will be available. The compartments will be split into two classes -- the general and executive class. All the cars will have seating arrangements. Initially, we will run about 35, 10-car trains with a capacity of 750 passengers each. By 2033, as passenger footfall increases, the length of the train will be increased to 16 cars with a capacity of 1,250 passengers. This stretch will be a template for future projects. But, plans are yet to be finalised.